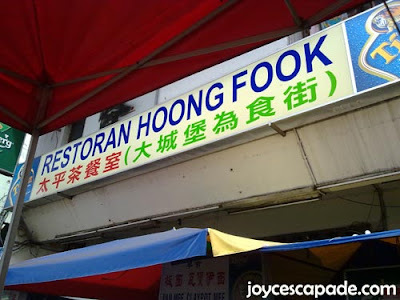 It was our first time in Sri Petaling and we went for hawker food at Restoran Hoong Fook, somewhere along the Jalan Merah Caga area. Here's its location on Foursquare. I had Lui Cha, one of my favorite choices for a healthy lunch. 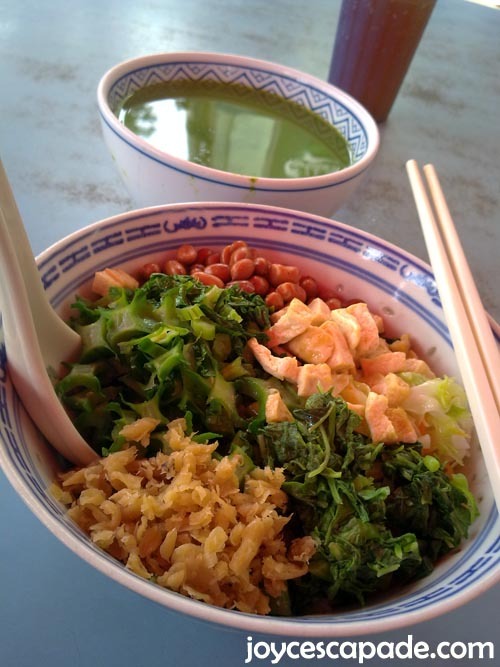 This bowl of fiber goodness consists of chopped four-angled beans (kacang botol), green leafy vegetables, cabbage, dried radish, bean curds, and roasted groundnuts. The lui cha tea paste wasn't too strong to my taste, just how I like it. Some hawker stalls' lui cha paste has a very strong minty flavor which I find repulsive. Find out more about my lui cha adventure! 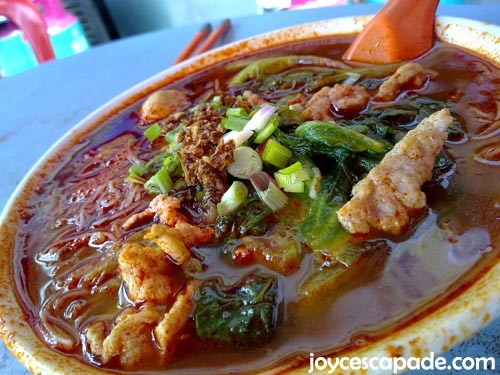 Being a spicy food junkie, David had Spicy Pork Noodles. The broth's fiery red color looked menacingly spicy but it was surprisingly tasty and our tongues weren't numbed too much. Check out pork noodles at Medan Selera Taman Desa.